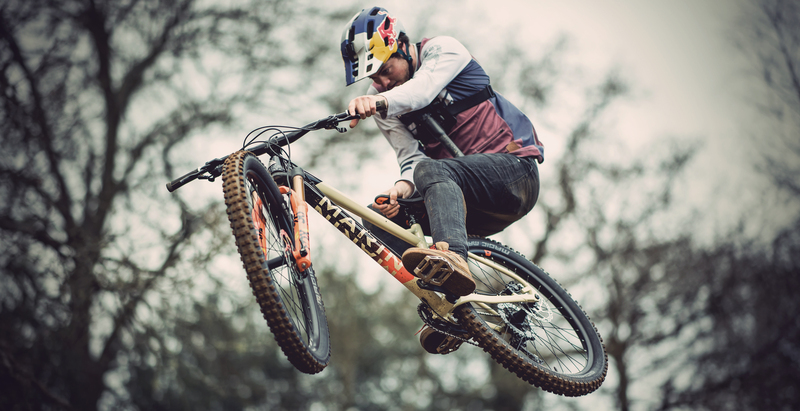 Marin Bikes produced a nice edit for their new Bike collection with TSG team riders Matt Jones and Timo Pritzel. Matt was heavily involved from concept to design & testing of this bike. Both headed down to Surrey, UK, to see how the bike handled the S4P bike park and the local trails. Read here how Matt and Timo experienced the video shoot. We caught Matt and Timo to learn a few more details about the video shoot. For Matt, the first day of the shooting didn’t really start promising…. But read yourself what they have to report. Matt: This was my first time riding and working with Timo and it was so awesome. I’ve looked up to Timo for years as a rider with legend status and somebody who pushed the limits of the sport before I was even doing it. So to ride with Timo as not only Marin team mates but also TSG team mates is a crazy experience. The night before the first day of filming, I got the worst food poisoning so the shoot did not start well for me, I was being sick for hours whilst Timo rode hard in the rain and got some sick riding shots despite being cold and wet. In the evening I started to feel better and Timo gave me some natural food which helped a lot, and his advice was super important for me to get back to riding the next day. So we only had one full day to ride and film together, in two locations but it was awesome. We started at the dirt jumps and got some sick shots riding together. We made sure to get some slo-mo classic Timo one-foot-tabletop shots which was so cool for me to watch. 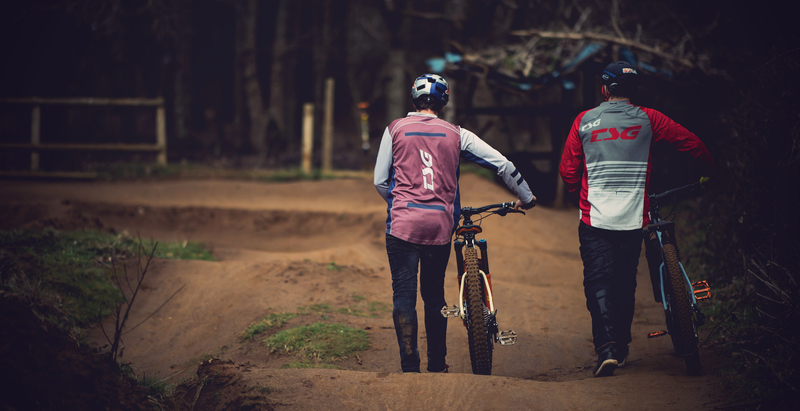 Afterwards we rode enduro style tracks on the bikes and hit muddy corners and puddles.The video is sick and it was such a great opportunity for me to ride with such a legend. Timo: I was really looking forward to riding with Matt Jones, my team mate for TSG and Marin Bikes. I was a bit surprised though that they wanted to film a dirt edit march. But we were really lucky! It was bit wet as it always is in the UK, but sunny in between! The bike scene on the island is one oft he best all over Europe in my opinion. Riders just really get it on at their spots! Plus they are super friendly and passionate about what they’re doing! At first I thought Matt is going to do some super stunts and leave me tagging along. But Matt showed up with food poisoning and was super sick! So, it turned out, the old dirt jump grandpa, could drop some food knowledge on this young youtube millionaire. That it might not be the best idea to only eat english pub foodJ. Don’t spend money just on strong engines for cars, also spend money on quality fuel for your own engine! Your body. 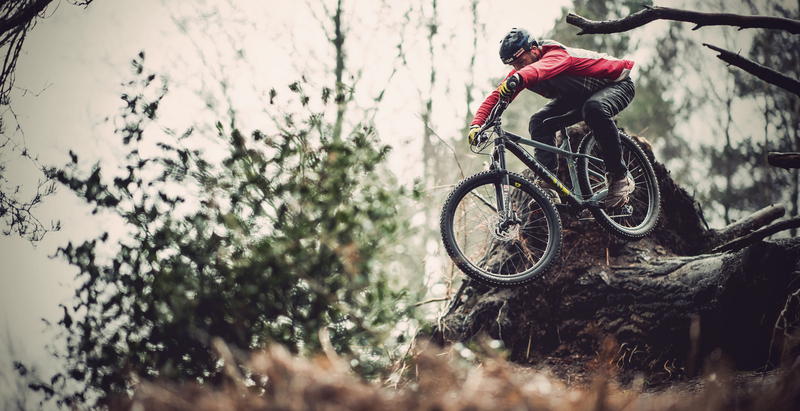 Timo Pritzel guiding his San Quentin through the singletrack of Peaslake, UK. The new Marin San Quentin, is Matts signature project. An all around affordable bike, which turned out just great! I know Matt and the guys at Marin put a lot of work in this project and its super cool to see the final outcome. When filming an edit and spending a couple days together its super important to have guys around you that know what they are doing. Thankfully the film-crew and photographers were riders themselves, that was awsome! Thanks to Jacob Gibbins / aspectmedia.tv and rupertfowler.co.uk! And our team manager John Oldale for putting it all together! I was really surprised on how good the trails were not far out of London. And I’ll take some of that motivation these brits have when it comes to riding in all wheater conditions, back home to Berlin. Now it’s about time to watch the video! Want to check out the TSG products Matt and Timo wear in the video?